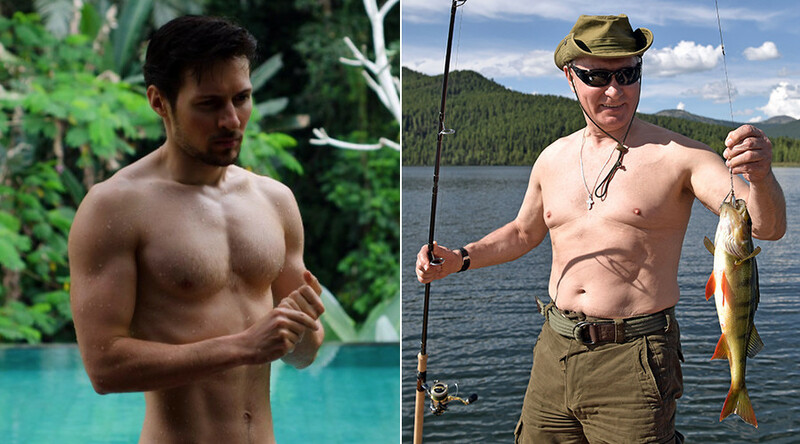 Russian web guru Pavel Durov has called on males of all ages to take off their shirts and show off their burly torsos, following Vladimir Putin’s recent fishing trip to Siberia. Durov’s flash mob #PutinShirtlessChallenge went viral in no time. “My Instagram had to seriously step up the game to keep up with the increased competition from Mr. Putin’s shirtless photos,” the founder of the Vkontakte (VK) website and Telegram messenger service wrote on Tuesday. “If you’re Russian, you have to join #PutinShirtlessChallenge (or face oblivion). Two rules from Putin – no photoshop, no pumping. Otherwise you’re not an alpha,” Durov added, unleashing a deluge of bare torsos. Those who have responded were definitely not camera-shy, kids among them. Russian President Vladimir Putin, 64, made waves earlier this month when he went shirtless during a brief hiking and camping trip in Siberia. The indefatigable Russian leader spent two hours searching for the perfect catch at the bottom of the Siberian lake. Clad in a wetsuit and snorkel mask while armed with a harpoon gun and a GoPro camera, Putin endured the cold waters of the lake to capture some incredible footage of his fishing expedition. Apart from giving a master class in fishing, the active Russian president also hiked in Taiga and went rafting on a mountain lake in southern Siberia. His enthusiasm has proved to be infectious.